Aizawl, Nov 13 : Boomarang is set to rock Hanoi (Vietnam) on the night of November 17 at the India Festival organised by the Indian Chamber of Commerce in Vietnam (INCHAM). The concert by the rock band from Mizoram will take place exactly at 9:00 PM at the American Club, 19-21, Hai Ba Trung Street, Hanoi. Besides the concert, the band will officially launched its debut album titled BOOMARANG, which will be released by His Excellency Ranjit Rae, Ambassador of India to Vietnam. The event has been widely announced by various Vietnam newspapers and websites. The expectation is high in Hanoi as Boomarang has established itself as one of the best rock bands in India, recently performed with the American band Korn in Gurgaon, India. Boomarang will perform most of the songs from its debut album. “Music is universal, but with our genre of 'junk rock' it will be like testing new waters in Hanoi. I am sure we will relate our music to everyone. We are just excited”, Boom, guitarist of the band said. Boomarang is sure to raise Hanoi's temperature high with its maiden foreign gig and its debut album that that will be released outside its home state and the country. “We are toasting the frontiers that music does not have. We just wanted to take everything against the limit of boundary, which is why Boomarang's debut album is set to be released in Hanoi. Music is a revolution and we are exactly representing that”, Award winning Journalist, researcher and writer, David Buhril, also Boomarang's manager for Hanoi said. “The songs that we will be performing in Hanoi, which are very much part of the album, are like our first offspring. They are inevitably about us and strongly represents our musical identity. It will be a revelation to the bigger world about who we are and what we are”, Atea, vocalist of Boomarang said. Boomarang's trip to Hanoi will be without its original bassist, Joshua, as he is heavily engaged and has to carry out responsibilities for his brother's wedding that coincidentally clashed with Hanoi's date. Laltlankima Thangluah (Valpuia) will take the place of Joshua for the Hanoi tour. Besides the gig, giant music promoters from Vietnam has been looking forward to witness Boomarang's performance. “Its unoffcial still, but we will be knocking the doors to crack South-East Asia with the Hanoi tour. We are trying to go much ahead of the big talk of 'Look East Policy' with our music”, David Buhril said as he crossed his fingers. David Buhril, Boomarang's manager for Hanoi, thanked John Ruolngul, First Secretary, Embasy of India for all his endeavours, INCHAM, and Pu Lal Thanhawla, Chief Minister of Mizoram for extending all supports for the trip. The band is also grateful to all its fans, families for all the support. 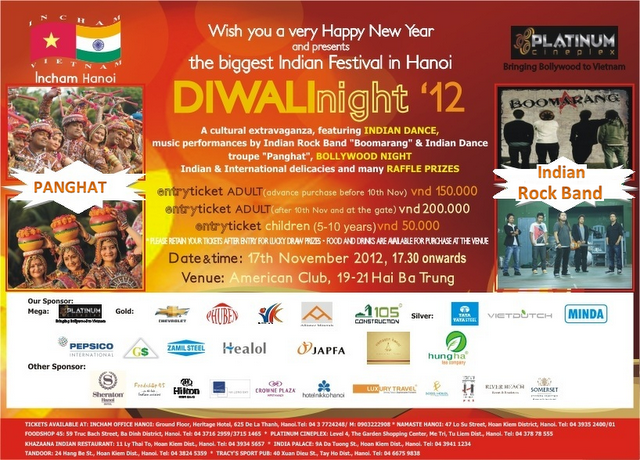 Boomarang will be leaving Aizawl on November 15 for Hanoi.